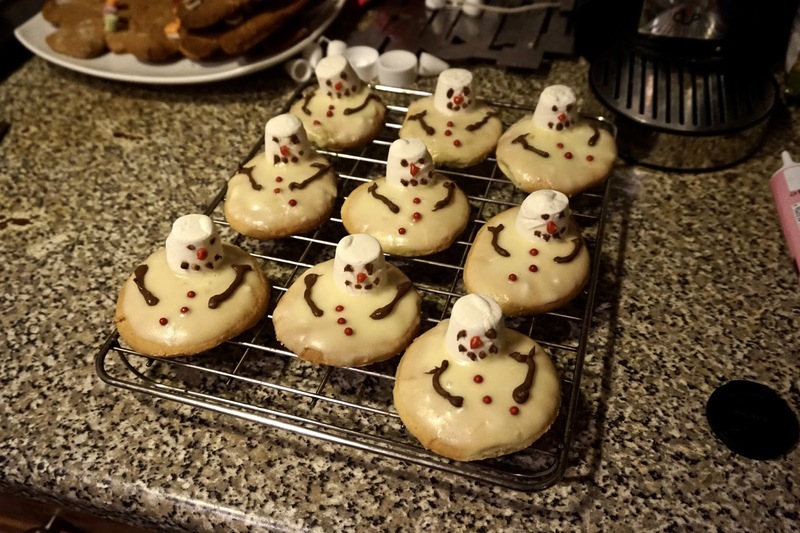 I thought it would be nice to add some baking posts into Blogmas, so here is my first baking post and it is the melting snowman cookies. This recipe will show you how to create and decorate them. For cookies; in a large bowl combine butter with sugar, eggs and vanilla extract. Beat using an electric mixer on high speed until light and fluffy. In another bowl combine the flour with the baking powder, bicarbonate of soda and salt. Gradually stir into the butter mixture until well blended. Cover bowl with cling film and chill in the fridge for 2 hours. Line baking trays its greaseproof paper. 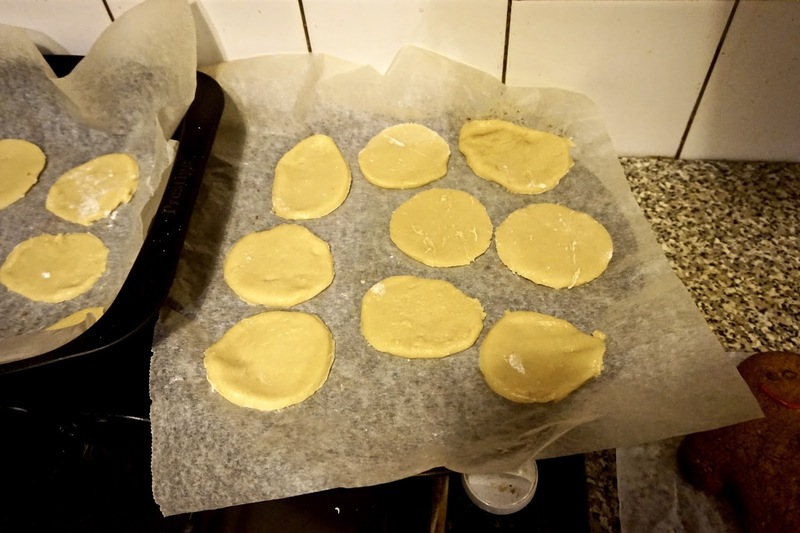 On a very lightly floured surface, roll out the dough into about 1/4 inch thickness. Cut into desired shape using cookies cutter. Place cookies about 1-2 inches apart on baking tray. 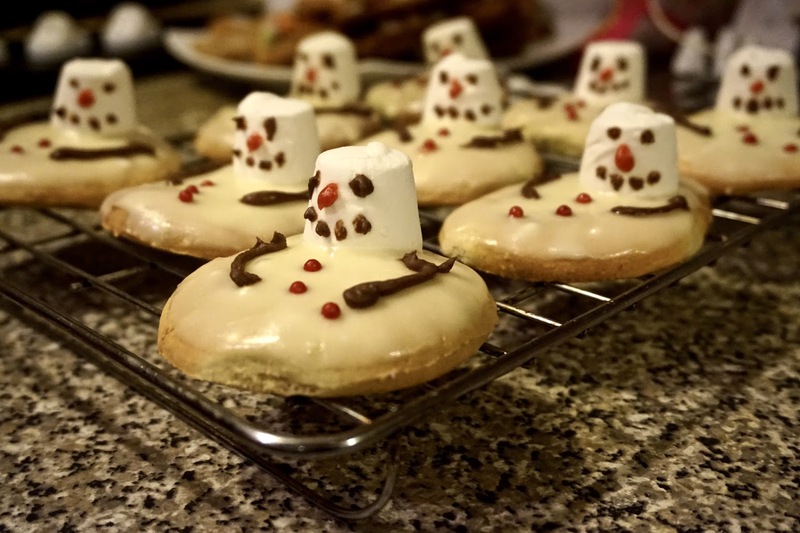 Remove cookies from the oven and place on a wire rack so that they can cool completely before icing. In a small bowl mix the icing sugar with a couple drops of water and the icing should start to form. Dip the cookies face down into the icing and then rest. 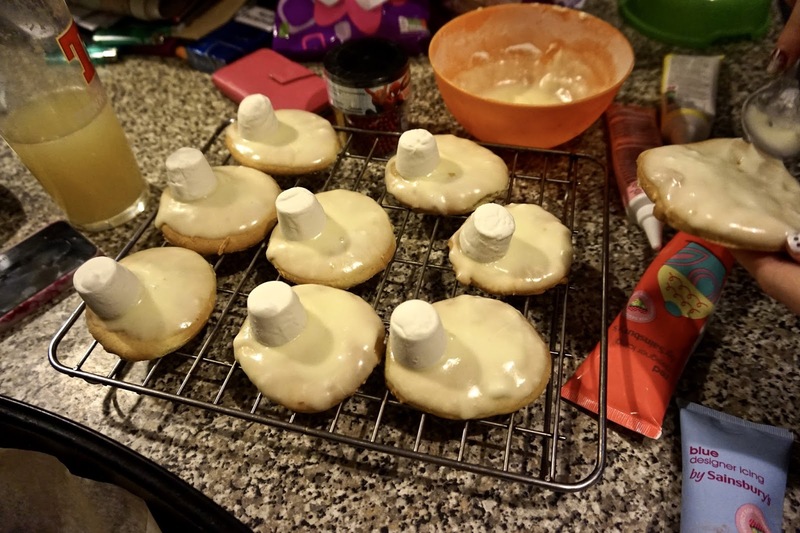 Place 1 marshmallow in each cookies, leaving enough space underneath to do some more decorations. 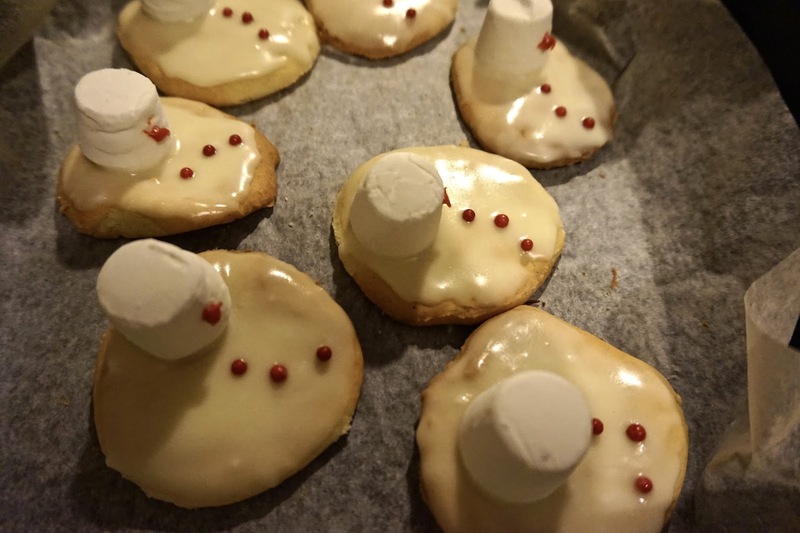 Use the edible balls to create some buttons for the snowman, i’ve used 3 but you can use however many you wish. 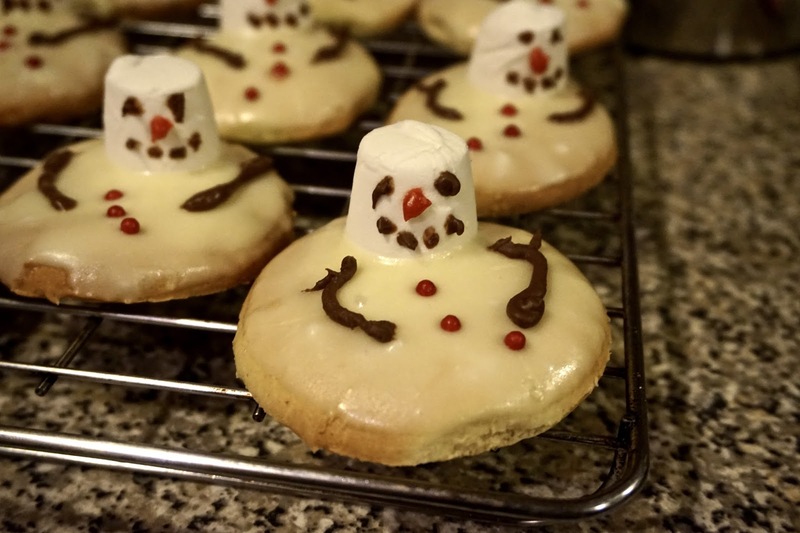 Use your chocolate icing to create some arms for the snowman and to also dot on some eyes and a mouth on the marshmallow. With the red icing do a little dot in the middle of the marshmallow under the eyes and above the mouth to create the nose. They will be now be ready to eat, so grab a cup of tea and enjoy!